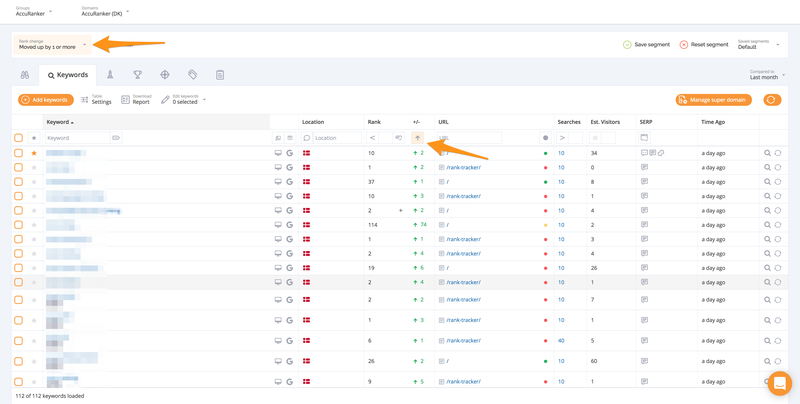 The "Winners & Losers" stats gives you quick view of how many keywords are moving up, down or remain unchanged in rankings. This is a great way for knowing in which direction your keywords are moving. 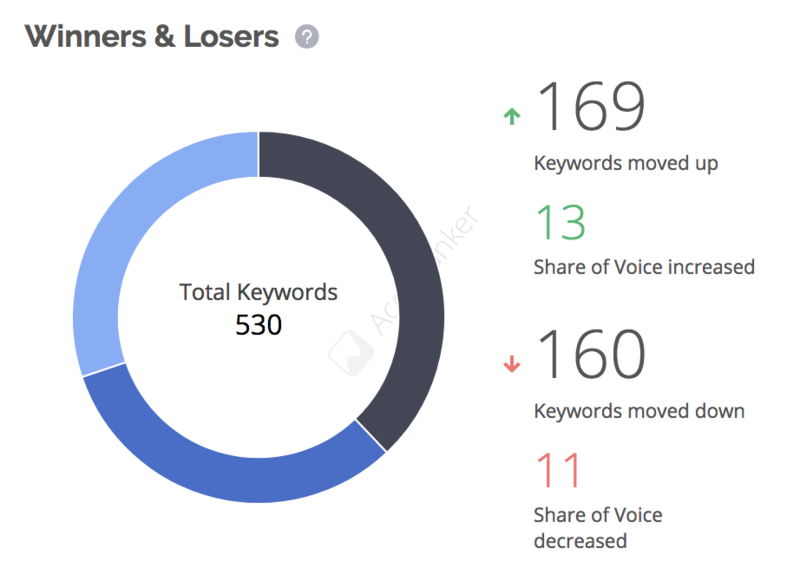 Winners & Losers shows you the number of keywords that have moved up, down or remain unchanged. For a keyword to be included, it has to have been tracked on both of the dates that you wish to compare. 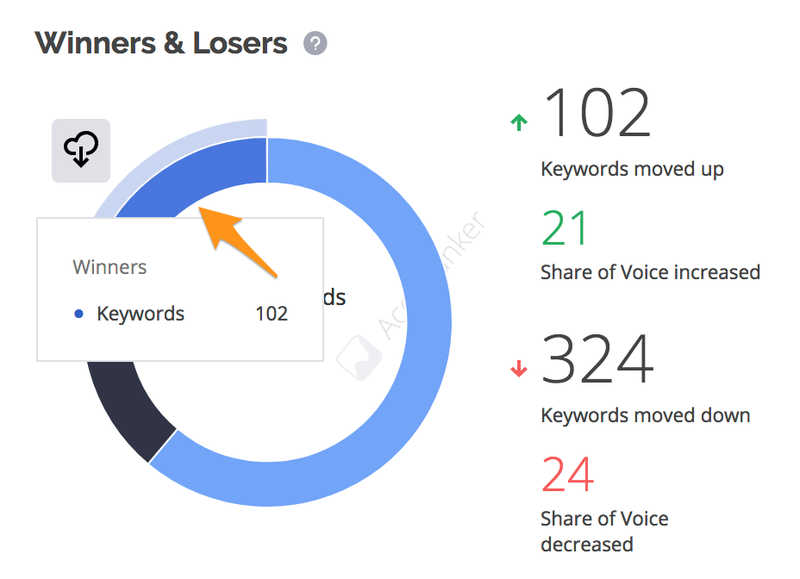 Winners and Losers also shows you how much your Share of Voice has increased or decreased. Want to learn about Share of Voice? Click here.